The store will be located adjacent Blanchardstown Shopping Centre. 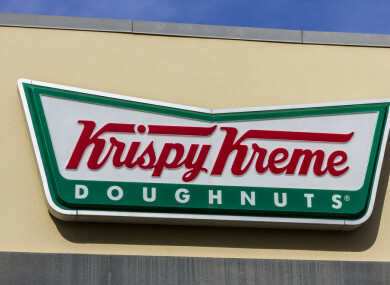 IRELAND’S FIRST KRISPY Kreme Doughnuts store is set to open in September of this year, creating 150 jobs. The Krispy Kreme Hotlight, located adjacent to the Blanchardstown Shopping Centre store, will also have 24-hour drive thru. The company, which has 1,300 stores in 31 countries, is looking for doughnut makers to retail team members to join their team. The store will be able to seat up to 60 people and accommodate more for take-away purchases. While the recruitment process has already begun, jobs up for grabs include operations manager, back of house manager and production manager. It is also recruiting in various areas including: retail, logistics, administration, and management. There are also full-time and part-time vacancies available in the factory store, located at the Blanchardstown site. Interviews are set to take place in August with the company committing to sending three of its new employees to the original home of the Krispy Kreme doughnut, Winston-Salem, in North Carolina in the US. The new employees will get to visit Krispy Kreme’s global headquarters, where Krispy Kreme manufactures its own bespoke doughnut baking equipment. The Dublin store will allow customers watch the doughnuts being made from scratch and will also have the company’s famous Krispy Kreme Hot Light which lights up when warm doughnuts are freshly available. Speaking about the announcement, the Ireland Country Director Alex Drysdale said the company is thrilled to be opening its first store in Ireland, adding that he is looking to hire “enthusiastic and energetic people”. Those interested in applying should visit the company’s website here. Email “Krispy Kreme to create 150 jobs in Dublin ”. Feedback on “Krispy Kreme to create 150 jobs in Dublin ”.